We have a team, we have a backlog created, now it is time to develop the app. As a quick recap, we have a team that consists of a representative for development, product specialist, team lead, and then a product owner that is responsible for making all stakeholders, from the users to the app’s ownership and everyone in between. Agile app development is designed to be lean and has multiple meetings that are standard to help keep the process working. These meetings are the Sprint Commitment, Daily Stand-up, Sprint Review, and Sprint Retrospective. A sprint commitment meeting is when everyone agrees, confirms, and finalizes all the items that are deemed by the full team, in this meeting, to be the most important items to be worked on during any given sprint’s time-box. The implementation team has these to keep everyone knowing what is happening any given day. These are very quick and only involve the actual implementation team (development representative and developers most of the time). When a development sprint is finished, the implementation team presents the progress made to the team in a sprint review meeting. In this meeting, the team comes together and discusses the demo and any other concerns or developments (no pun intended) in the latest sprint. Between this and the next meeting, all bugs that are priorities should be found and added to the backlog to get fixed. 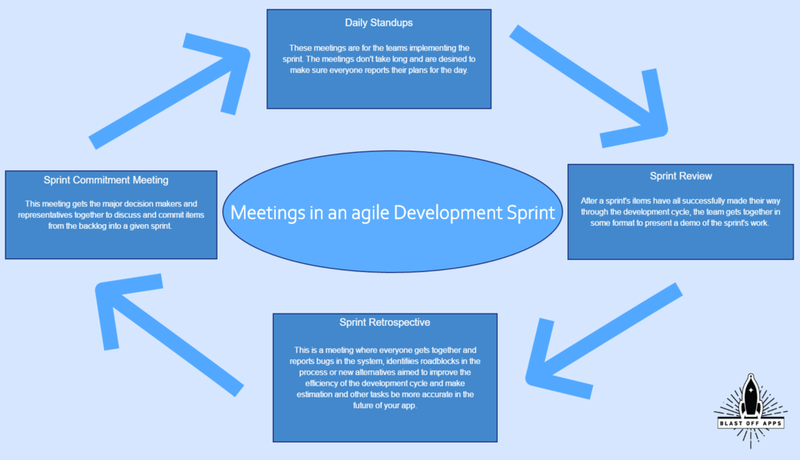 After a sprint is complete and released, it is common to meet and discuss where there were issues and where things went well trying to make the estimations that are necessary improve the performance and expectations of future sprints. This meeting is great at making the process more specific to your specific needs. 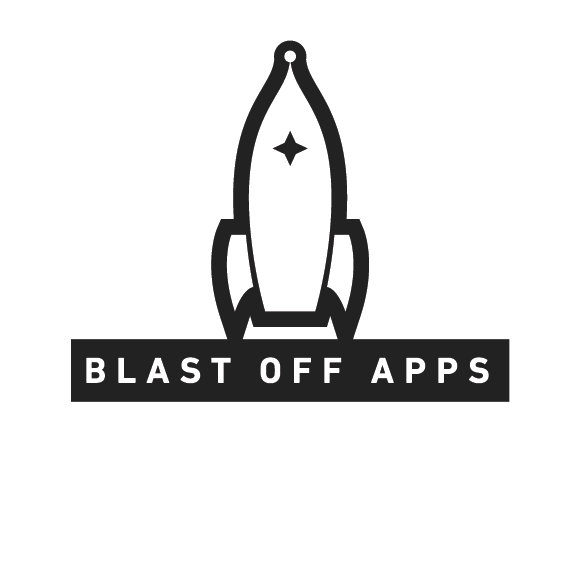 Maybe you have a startup idea that will require on-going iterative development due to a limited budget or you could have a business that is developing an app they need to help bring revenue in and bolster your bottom line. Either way, you can get the app you are after and with the agile process and meetings we’ve described so far in this series. A start up can find a way to test their hypothesis on a budget and have a demo to show investors and other early-adopters, hopefully driving engagement and building a product that takes off. On the other hand a business could develop their app more quickly, eliminate wasteful features that users won’t use, and develop as any of your competition does (if you don’t have the team, we can help). In the next part of this series we’ll cover a very common question, if I don’t have a team how much will it cost? There are many expensive professionals needed to give you a true agile team and outsourcing or hiring freelancers almost exclusively involve the inferior waterfall process.